Heat oil in 2-quart nonstick saucepan over medium-high heat. Sauté onion, bell pepper, zucchini and garlic in oil. 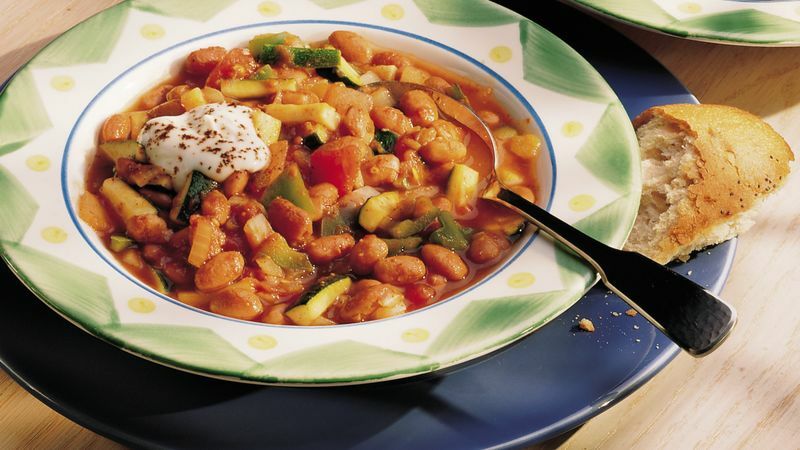 Stir in beans, tomatoes and chili powder. Cover and cook over low heat 20 minutes. Serve with sour cream, sprinkle with chili powder.